I have been using the same types of homework incentive charts for years now. I decided it was time for something different this year!!! 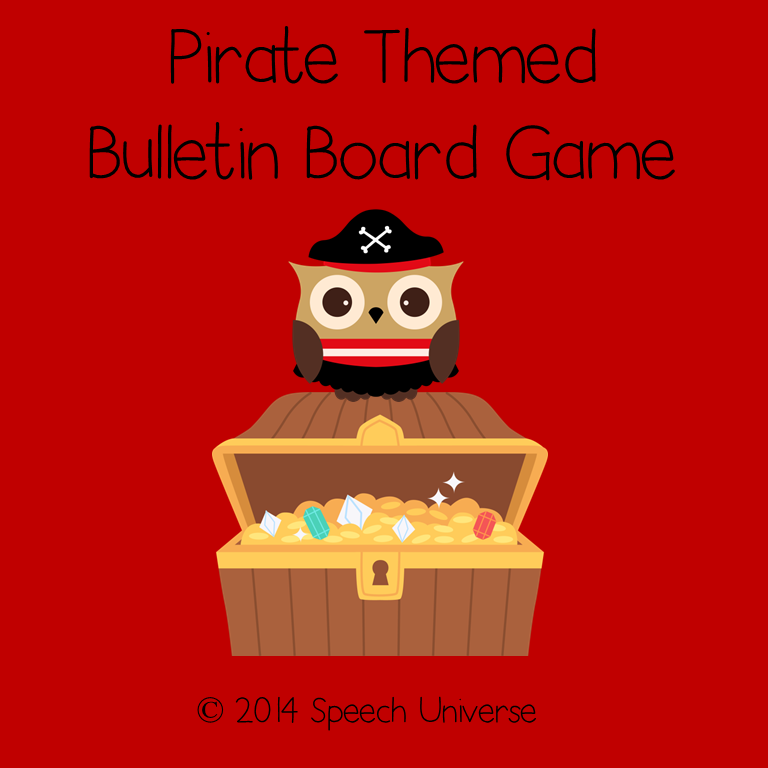 How about a bulletin board game?!?! The mascot at my school is the owl, so I use a lot of owls in my room. This year, our PTA adopted a pirate theme, so we are now seeing lots of pirate owls all around school! The theme also goes along with a theme our principal has adopted called "teach like a pirate." This is based on some professional development by Dave Burgess. Check him out, there is some great stuff there! So, back to my homework incentive chart. I have wanted to make a large bulletin board game for a while now. I found some really cute owl pirate clip art, and decided to go for it. Students will all start at the owl pirate and follow the map to get to the treasure box. They each have a ship with their name on it that will sail the "speechie seas." I laminated each ship and put a tiny piece of adhesive putty on the back. As students start to return their homework, they will get to roll the dice and move their ship that many spaces. When they reach the treasure box they will get a prize! I am hoping this will motivate some of my students a little more than just the regular incentive chart. Not sure it will work, but I am going to try it! I'll keep you updated to let you know if it works. If you want to join me in using this type of game, here is a FREEBIE for you!